We love the WheeMe! First of all, it is a tiny and lovely robot, it looks good and everyone likes it. We have tried the WheeMe... Our kids and our friends have tried the WheeMe... everyone adopted it! Some of us prefer the vibrating massage, others like the relaxation one, but our kids enjoyed the dancing massage, which makes them laughing all the time! 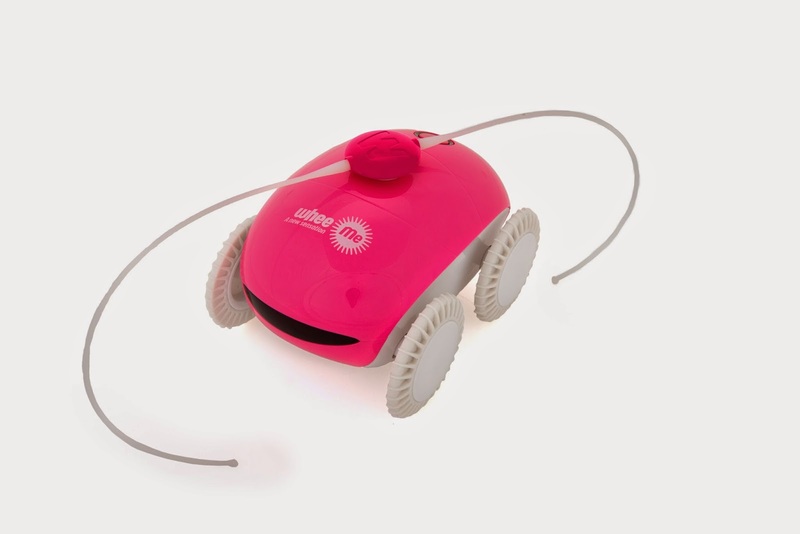 The WheeMe activates the nervous system through touch, vibration and caressing movement. The WheeMe really does massage you, when it turns its right and left wheels in opposite directions, it will soothe your back and release stress in a matter of minutes. WheeMe stay on your back without falling or losing grip. Nevertheless, best is to enjoy the WheeMe in the centre of your bed or to lie on the floor, so if time to time, it falls, it will not break. When it falls, it stops and you put it back on your body and it restarts automatically to continue your 15 minutes massage session.